It is a truth universally acknowledged that when Ruth Reichl writes about food we will read it and devour her prose like the feast that it is. 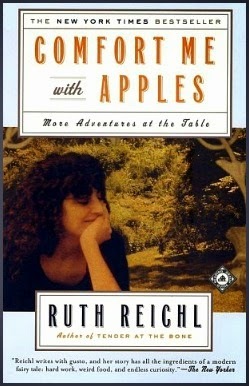 Comfort Me With Apples, one of Ruth Reichl's foodie memoirs, was our February/March selection for Cook the Books. While everyone may not have agreed with some of Reichl's life choices, we all certainly were inspired by the food and we ably comforted ourselves with many wonderful dishes inspired by the book. Wendy of A Day in the Life on the Farm was our first entry in this month and she had a lovely time with Ruth saying, "Here is what happened when I got the book: I sat down one evening and I opened the cover, I read a couple of pages and then there was a knock on my door. I opened the door and there was Ruth, with a smile and a bottle of wine. We opened the wine, kicked off our shoes, sat down by the fire and began to talk. Ruth shared her life with me, the good, the bad, the happy and the sad. We laughed and we cried. And then we laughed again. We gossiped about all the celebrities that Ruth has met and we shared our innermost fears and secrets." 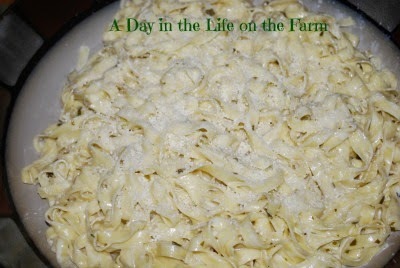 Amy made Basil and Lemon Pasta inspired by the pasta in lemon butter sauce that actor Danny Kaye served Ruth. Camilla of Culinary Adventures with Camilla says, "While I found myself wishing for a little bit more restraint as she described her personal life, I longed for her descriptions about the food to go on and on." Camilla made Butternut Squash Soup a la Bonneville saying "I was compelled by Ruth and Michael's spectacularly disastrous Thanksgiving dinner at The New Bonneville Hotel. ... Instead, on a chilly, grey evening while the fire crackled in the living room, I whipped up a pot of butternut squash soup. "The squash purée was bright orange with an earthy sweetness. Cream was drizzled through it, making patterns. Chives were strewn across the top. 'Okay,' said Michael. 'I'll admit it. It's the best soup I've ever tasted. I could eat ten bowls." Unlike the Bonneville, I do not have a luscious vegetable garden, but I do have access to amazingly fresh and delicious vegetables through local-to-me farms." Amy of Amy's Cooking Adventures says, "... boy, did she lead an interesting life in those years! I could not tear my eyes from the pages as she lived in a commune with her husband, and ate and drank her way through several extramarital affairs.I simply couldn’t put the book down!" 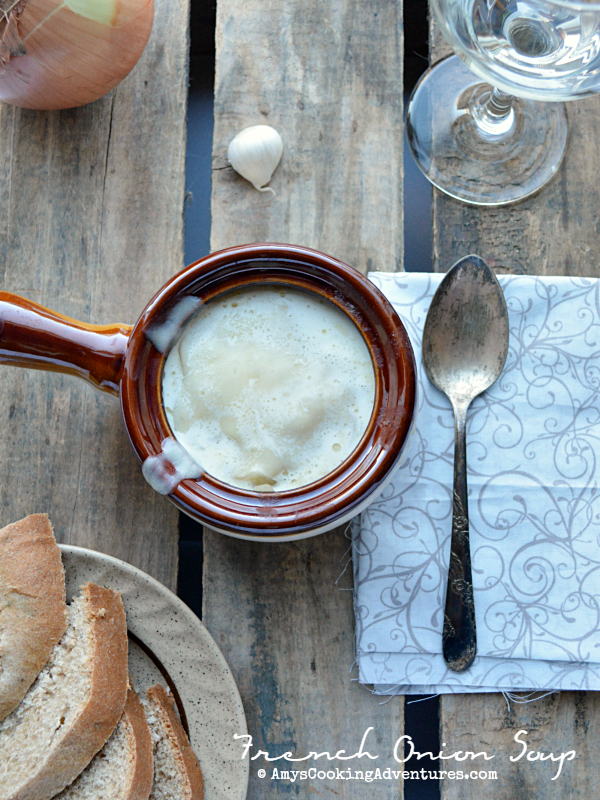 Amy made the La Vieille Maison French Onion Soup saying, "This twist on a classic French Onion Soup was included at the end of the chapter and I was so intrigued! I happen to love French Onion Soup, but my recipe used beef stock (this one has chicken stock) and red wine (this one uses white) and there are eggs in the version (waaa???) I knew it would completely change the flavor profile and I absolutely had to try it! The resulting soup was absolutely amazing and a nice change of pace from the classic. My only complaint was that it looks a little off putting…kinda pale with eggy little curdles floating about. But that’s why it’s covered with cheese! Mwahahaha!" Claudia of Honey From Rock inspired this Cook The Books selection when she requested a Ruth Reichl book. She says, "There was much in her memoir to tempt and inspire, as well as challenge our cooking skills. Reichl has the ability to communicate smells and tastes through descriptive writing, aided by an unbelievable palette, which is the premier gifting for a food critic or chef. I sometimes wish mine could be tuned up a few notches. It would certainly help in the area of wine tasting as well. I wonder if there is an herb that would help?? ... 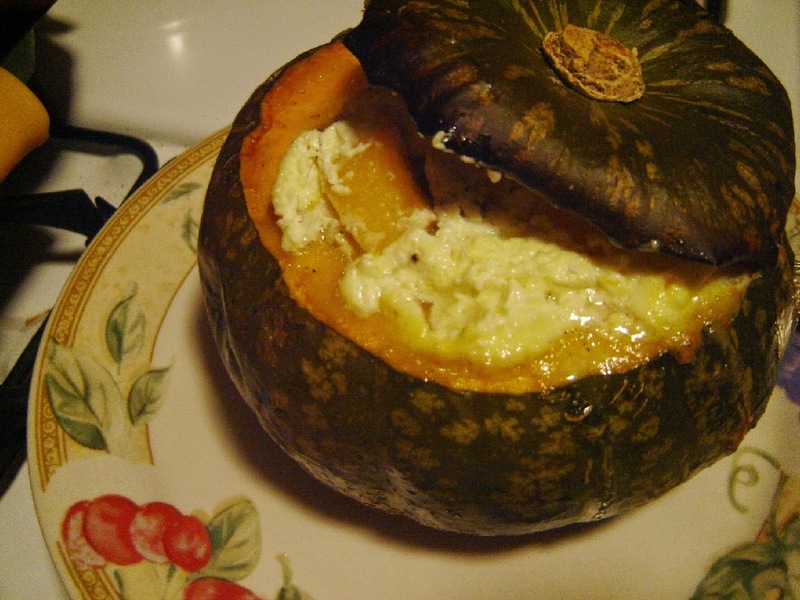 Since we have been having cold, rainy weather lately (yes, even in Hawaii), what finally called my name was her Swiss Pumpkin, nicely filled with half-and-half, Gruyere cheese, toasted bread, etc., and baked for 2 hours. 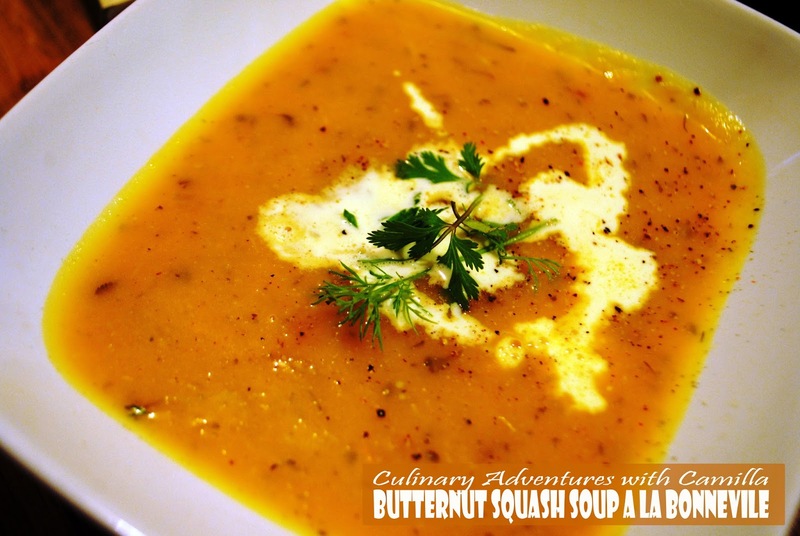 I used one of our locally grown Kabocha pumpkins, which are just the right size for for two (with not too much left-over)." Cook The Books co-host Simona of briciole says that in the book "there is a good amount of one person trying to dazzle another (not necessarily a husband)." So she was inspired to make handmade pasta-- "spindle-shaped, delicate Cecamariti (literally, husband blinders)" uniquely made with bread dough and she assures us that "no husband was hurt in the making of this pasta." Simona also notes that "The pasta cooks quickly and profits, in my opinion, from a light sauce. In the photo you see it dressed with my usual tomato sauce, but I have also made it with chèvre melted with a small amount of butter and also used it in my recipe for poulet yassa (Senegalese chicken)."